SIMPLICITY – Do you ever feel like you need a vacation just to decompress from planning your vacation? Well, it seems you’re not alone. Long gone are the days of extravagance and too many options. People are craving true vacation time and reprieve from their hectic lives. They no longer want to feel bombarded with a long list of options, but prefer a simple, streamlined getaway that captures the feeling of being away with the small comforts of being somewhere familiar. Just far enough to get lost, but comfortable enough to feel at home. JOINING HIGH AND LOW BROW – Boutique? Hostel? Why not both? 2016 saw the beginning of a “poshtels”, a cute nickname for upscale hostels. This year, it only seems to be picking up speed. Aside from hostels in Europe and the US upping their game in the way of luxury amenities, so are major hotel chains. For example, our customer, Hotel Indigo took note by adding small details like Rosemary Mint Aveda shampoo to their rooms to make your stay just a little more posh. Why choose when you can have upscale on an affordable budget? We wouldn’t either. FEELS LIKE HOME, BUT MAYBE A LITTLE BETTER – Marietta has always offered a selection of American favorites, likely the same as you use in your shower at home. Or, maybe a brand you’ve been curious to try. While hotels seek to create unique experiences in a very competitive landscape, it’s easy to overlook the power of the comforts-of-home which could very consciously or subconsciously elevate the feel-good vibes for guests. Travelers are seeking locations that feel like home, but nicer. Envision something like your house – but with nicer artwork, zero clutter, and products that smell really nice. CUSTOMIZATION – A five-star hotel? Surfing? Beach Bum? Backpacking? – Who decides what the “best” type of vacation is? You! Customization is all the rage. Everything from location and activities to cuisine. And don’t forget the products. With as many options as consumers have these days, Marietta believes that while simplicity is wonderful, so is the power of choice. Marietta goes to great lengths to help Hotel groups select Amenity Collections that are a perfect extension of the Hotel’s own brand identity. The options are endless and we are excited to see where they go and to be part of the ever-changing landscape. The story of Marietta Hospitality is an inspiring and colorful one. 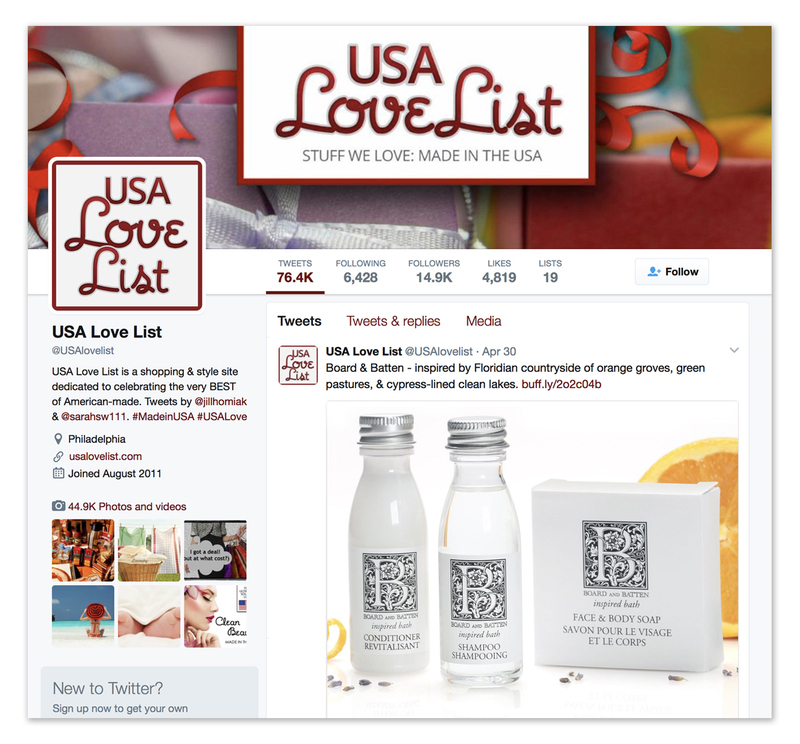 We’re excited to see our brand partner Board and Batten and Marietta both featured on the USA Love List’s twitter page. As two Made in USA companies it’s nice, dare we say, to be shown ‘some love’. Marietta is proud of our association with Brands like Paul Mitchell®, among others, making huge green strides toward a sustainable world. 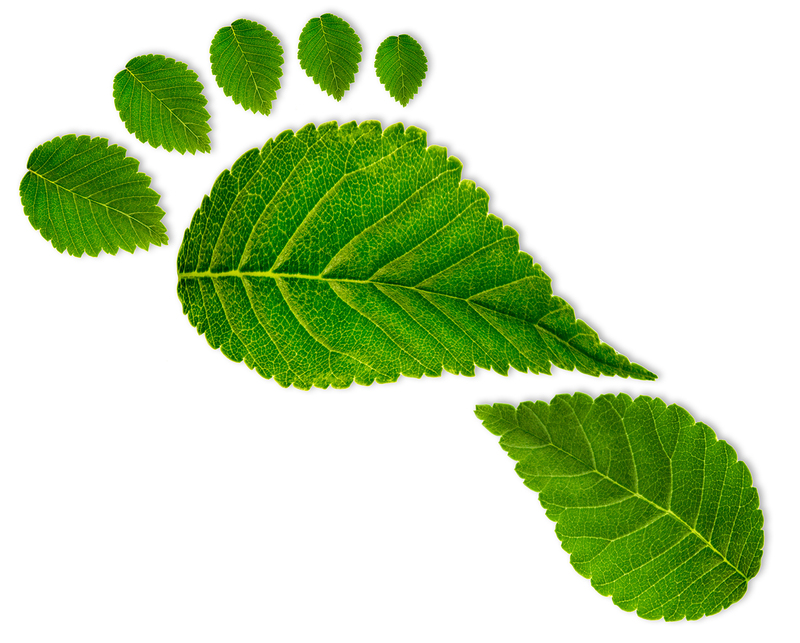 Click on the Green Footprint photo above and read Paul Mitchell's website page "CARING FOR OUR PLANET"